Is there anything else left to leak out about Samsung's next smartwatch? 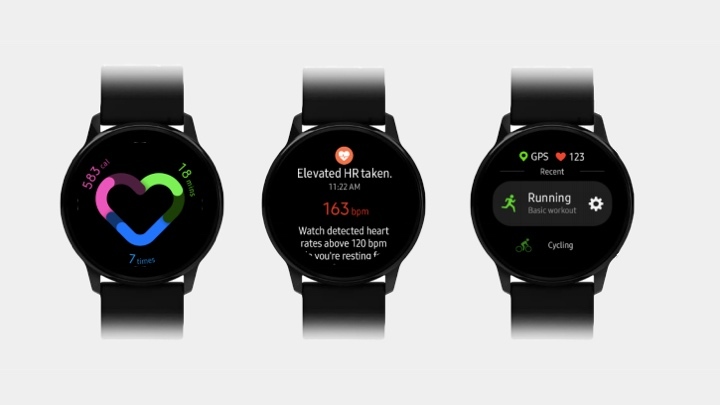 Those Samsung Galaxy Watch Active leaks just keep coming and now it looks like we have our first glimpse at the new user interface and more details on some of the fitness tracking and sports tracking features we can expect. 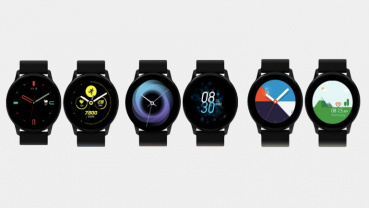 Courtesy of Sammobile, who claim to have these details from an anonymous tip, we get to see how the software on the Watch Active will look when it finally gets officially unveiled. 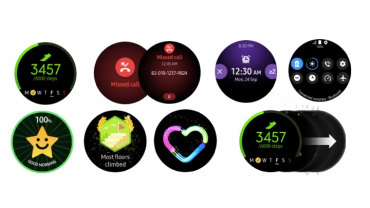 The latest images show a range of different watch faces and data screens showcasing Samsung's One UI, a user interface usually found on Samsung's smartphones. So, while we'd still expect it to be running on Tizen, this could mean a change in terms of the way Samsung's own operating system is presented, in comparison to the Galaxy Watch and on older Samsung smartwatches like the Gear S3 and Gear Sport. The latest pictures also appear once again to suggest Samsung will be ditching that rotating bezel for its next smartwatch. Additional images also seem to show off a new-look activity tracker feature that feels very similar to Activity Rings on the Apple Watch. The heart shaped icon appears to use different colours to distinguish between different daily activity goals. 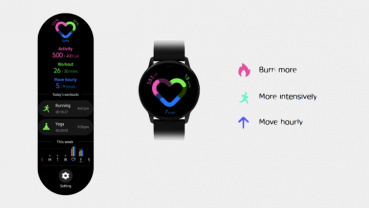 Other new features we can expect are automatic continuous heart rate tracking, elevated heart rate alerts and the ability to track more exercises. Although there's no indication what those new exercise modes will be. Along with the previous leaks, it seems we have a pretty good idea about the specs and features the Galaxy Watch Active will be packing. 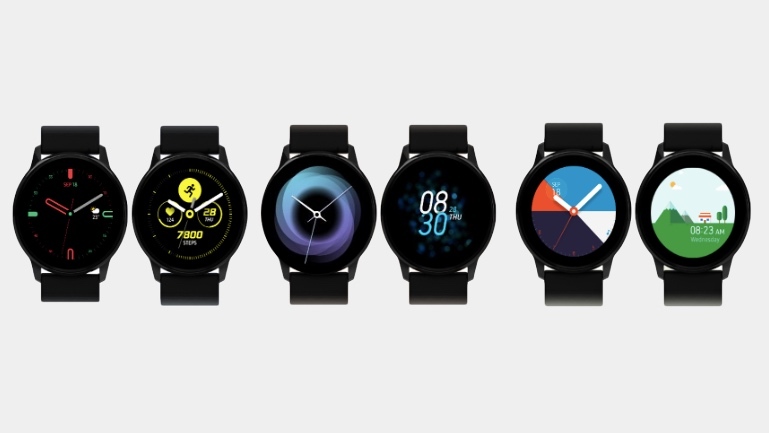 It's believed that the Active will run on Tizen 4.0.0.3 and be waterproof up to 50 metres, just like Samsung's other pool-friendly smartwatches. There'll be a 1.1-inch, 360 x 360 resolution AMOLED touchscreen display, a Exynos 9100 processor with 768MB of RAM powering performance, 4GB of storage, NFC, built-in GPS, a heart rate monitor, Wi-Fi and of course Bluetooth. There'll either be a 230 mAh or 236 mAh battery and there's expected to be an LTE version of the Active, too. The timings of these leaks appear to suggest that an official unveiling is not too far away, as well. Previous pictures have hinted it will be at Samsung's next Unpacked event, which takes place on 20 February. Or it could be MWC, which is only a week later. Either way, it looks like we don't have to wait too much longer to get our first proper look at the Galaxy Watch Active.